I'm a dedicated ASE master technician with over 20 years of experience. My specialties include troubleshooting and electrical and computer systems. I give 100% on each job and always make sure your vehicle is running efficiently and safely. Great service. Awesome experienced mechanic. He was courteous polite and listens to exactly the problem that I had. I unfortunately had a warranty issue, and he was extraordinarily helpful and worked quickly to figure out what the exact problem was and how to resolve it. The next time I need work done to my truck I will be requesting Manuel specifically (he didn’t work on my truck initially, but I wish he had). Manuel was fast, and super friendly. I will call him again when I need a mechanic! Manuel is very professional and a very down to earth good guy. He arrived exactly on time and repaired everything that needed to be repaired so my car would be safe to drive again. Manuel finished the repair in 1/2 the time that I was told it would take . This is such an awesome concept with "Your Mechanic". I am very Pleased with Manuel's Craftmanship and knowing that I can now drive my car with peace of mind knowing that everything that needed to be repaired was fixed by a Pro. Your Mechanic is just an all around Good experience from Start to Finish! I would definitely recommend Manuel and the Your Mechanic Service to family and friends. He was great, showed up on time, worked quickly and explained everything to me. Excellent service and thorough. Highly recommend. Will use again! Thorough and professional; did a great job. Excellent once again! Manuel is on time, efficient and extremely thorough. Highly recommend!! Manny was on-time, professional and knowledgeable. Excellent diagnostic skills. Was a little nervous about a "mobile mechanic" but he was able to diagnose the issue and provide all repair options. Thanks Manny for great service. Will not hesitate to use this service again. Manuel was on time, actually early, but very prompt and polite. Manuel came out to fix a warranty issue (not his initial installation, someone else’s) and he was extremely quick and understanding of the need for me to have my truck back and operating ASAP. He fixed the problem perfectly and quickly. I will ABSOLUTELY be requesting Manuel the next time I need repair work done to my truck. Manuel gave some good advice about what part I need to buy. 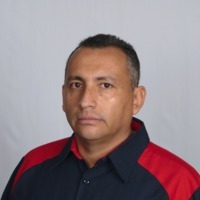 Manuel provides excellent service and is knowledgeable and thorough in his work. He helped me replace my rear brakes. There was an issue with parts, but he professionally remedied the situation and maintained a professional and amicable demeanor. I would certainly recommend him! Excellent as always... Came early and finished quick but always with care! Manuel is awesome! He made all job done really fast. He also helped me a lot with free consultation about how ti easy fix my air flow issue. Professional and easy person. I will ask his service again for my AC issue. Quick professional and reasonably priced. Manny was great! He was quick, efficient, and explained everything thoroughly. I’ll definitely use his services again! Manuel is awesome. My sons 4 runner has been sitting for a year while he was studying in England. The truck had a real bad mis and the engine was bouncing all over the engine compartment. Once Manuel got in there he worked his magic and the truck runs like new again. He did a very thorough inspection and was tightening Bolts on components he didn’t work on. You can tell he takes pride in his job. I will ask for him in the future and recommend him to everyone. Manuel was awesome. Knowledgeable and friendly. Will definitely be using this service again. He was on time and cordial. I could not be happier with the result, came and done the job without having my vehicle taken to a dealer or local mechanic shop. It'll probably be the last time I visit my local mechanic. Manuel was very patient and kind with my Aunt. She raved about him and will definitely tell all her friends in the area to call him when In need. He is very knowledgeable and contientous. We will definitely be calling him again! Very professional and informative. I don’t know how I lived this long without this service. We will definitely call and ask for Manuel again. on time. repairs done fast. didn't try to sell me on things I didn't need. great experience.